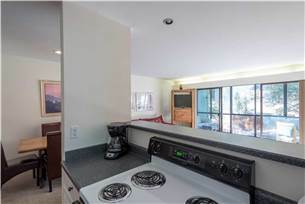 This spacious 750 sq. 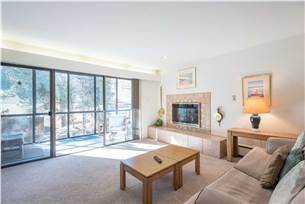 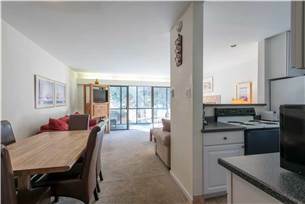 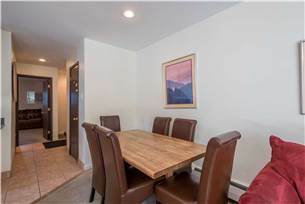 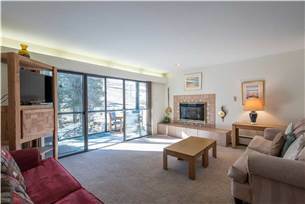 ft. corner unit, with stellar Mountain Views, is our closest property to the lifts in the Center Village. 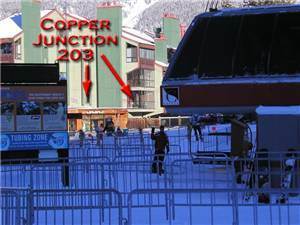 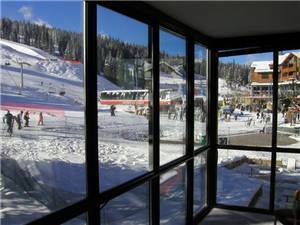 Overlooking the Main Vein and Easy Rider ski runs, this unit is as close to a true "Ski-in/Ski-out" condo that you can find on Copper Mountain! 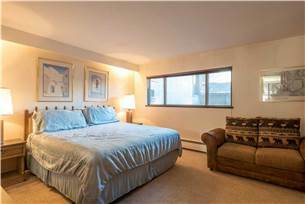 The Master Bedroom has a King Size Bed, a Twin Sofa Sleeper, TV with cable and a 3/4 Bath. 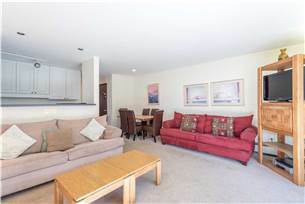 The Living Room has 2 Queen Size Sofa Sleepers, bringing the total Accommodation to 7 people. 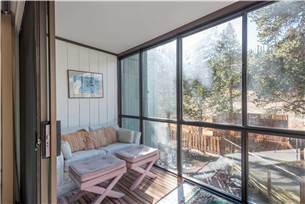 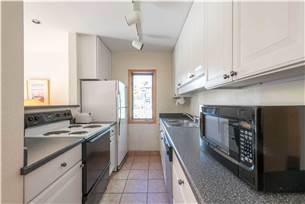 A TV/DVD player, Free WiFi, a Full Size Kitchen, a lovely Gas Fireplace, another Full Size Bath and a splendid enclosed Sun Room round out the amenities for this unit. 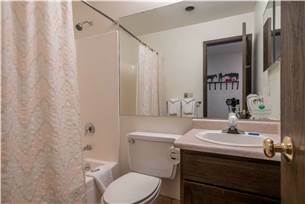 On site parking and Community Laundry Facilities are available, as well.